There are businesses out there that know exactly what they want. They have a complete picture of their control systems, how they will behave, what they will look like and how they will be used. Unfortunately, this is the exception. Most will only get halfway to that point. 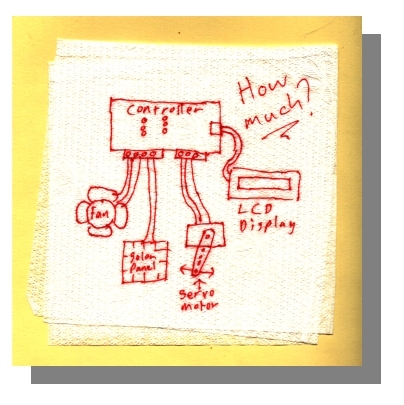 This is reasonable, as these businesses are not familiar with electronics and circuit board layouts. (if they were, they wouldn't need help!) They don’t know what can be measured and displayed, how much space is needed or how much energy will be consumed. But this is what the electronics engineering is all about. With the right approach many mechanical aspects of a project can be reduced or removed entirely by an innovative application of a few components and software. It is essential that the same final result is understood and expected by all parties. There is little point in devising a solution if the end product is different to what is needed. Like an architect who designs a beautiful house that won't fit on the customers land, if result does not match the expectation then the project becomes an expensive failure. The Business customer must describe their project needs as well as they can. Including background material, drawings, sketches, photo’s, even comments from intended end users. If this requires endorsement of non-disclosure documents, then fine, this may also be done. Avoid too-literal descriptions (if this switch closes, then this light must come on etc.) Sometimes holding back on the big picture can be counter productive and prevent a major improvement in design. It is then the task of the electronics engineer to assimilate this information and design on-paper something that is believed will do the job. This is presented as a detailed word-picture (not a circuit diagram) so that the reader may properly ‘see’ what the final product will be like and how it will behave. If the result is not right, then go back into consultation again and repeat the exercise as many times as is needed. The end result is a text-based specification, perhaps ten pages long, that will accurately describe the finished product. At that point, the project can be fully costed, approved and may proceed. Sometimes the customer does not quite know what the end result may be, then it’s ok to visualise a ‘Version 1’ that may never reach the field, but may be used as a stepping-stone to help determine what the final product must do. The important part is obtaining a good working specification that all parties agree to, then it becomes the responsibility of the electronics engineer to ensure that what is made exactly matches this specification. It may come to pass that the customer wants to change things or add on extra bits even before the prototype is complete. This is common and it is not a bad thing. It must be appreciated that a change that varies the work in the specification by more than a few percent may also affect the quoted price. Be warned that changes to a design-in-progress can be unpredictable. A change that the customer may think is a really big deal may be simply resolved by a few strokes of a keyboard for little or no cost. Conversely, changes that may ‘appear’ to be minor may require a complete re-design of a circuit board or program. If in doubt - ask about it. The path to the ideal outcome is for all parties to stay in close communication. This is the essence of the Discovery Process.